the descendants of Jacob and Joseph (NIV). Psalm 77 began with the psalmist in a state of anguish approaching despair. He was filled with questions for the LORD—questions but no answers. This brings us to our reading for today. 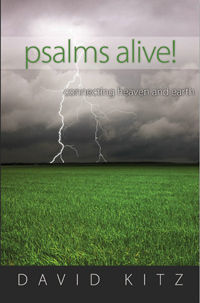 After pouring out his complaint, the psalmist recalls the mighty works of the LORD. When in doubt, remember. In a time of suffering, remember. When troubles assail from every side, remember. What should we remember? Remember the God who performs miracles. Remember that He is your personal redeemer. The blood Jesus shed was for you. The resurrection he accomplished was for you. The forgiveness he offers is for you. During trying times, I will consider all your works and meditate on all your mighty deeds. Our faith isn’t tested and purified in the good times while the choir sings sweetly in the background. Faith is tested and purified in the furnace of affliction. There’s no lineup of volunteers signing up for affliction. The gospel that is often presented today is branded as affliction-free. But Jesus gave no such promise. He promised persecution to those who leave all to follow him. (See Mark 10:29-31). Paul, the apostle, makes this assertion: We also glory in our sufferings, because we know that suffering produces perseverance; perseverance, character; and character, hope. And hope does not put us to shame, because God’s love has been poured out into our hearts through the Holy Spirit, who has been given to us (Romans 5:3-5). As you face difficult times, reflect on the ever-present, never-changing, miracle-working power of God. Response: LORD God, you are at work on my behalf even when I can’t see it. I believe in you, the miracle-working God. May my meditation center on you and your word, because your word brings light. Amen. Your Turn: Does God have your attention when you are in trouble or pain? Why Did the Sea Flee? the hard rock into springs of water (NIV). The answer of course is because of the jaw-dropping, eye-popping, heart-stopping power of God. God caused the sea to flee. He caused the Jordan to turn back. He caused mountains and hills to skip about and frolic like yearling lambs set free from the stall. What an awesome display! What an awesome God! Psalm 114 is all about the overwhelming power of God. It is a grand portrayal of the pivotal event in the Old Testament Scriptures. Here within a few short verses we catch a panoramic view of God’s might on display, starting with Israel’s escape from Egypt, to their arrival in the Promised Land. Why did the miracle-working LORD make the sea flee? Was it simply to display His awe-inducing power? Was it simply to create excitement among the million or more mortals, who were eyewitnesses to this divine wonder? In the Exodus account, the reason for this miraculous intervention is stated clearly: That day the LORD saved Israel from the hand of the Egyptians, and Israel saw the Egyptians lying dead on the shore. And when the Israelites saw the great power of the LORD displayed against the Egyptians, the people feared the LORD and put their trust in him and in Moses his servant (Exodus 14:30-31). This power display had one primary purpose. That purpose was salvation. The LORD wanted to save people—His covenant people—from the vicious clutches of oppression and a tyranny. In short, the LORD works wonders so that He can save people—so He can bring them into His Kingdom—so they can escape the sin systems of this world, and come under His loving rule. Response: Father God, thank you for going all out to save me through the death and resurrection of your Son, Jesus. What a display of your love and power! Help me to love, fear and trust you. Amen. Your Turn: Why did God save you? Is there a reason for His mercy?